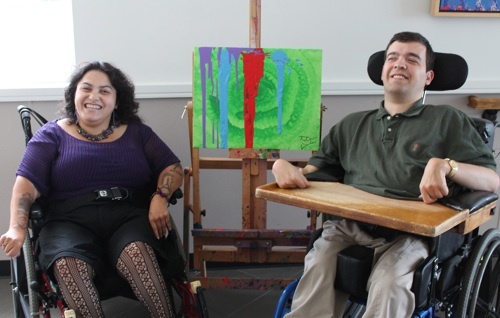 One of those “treats” is a painting called “Healing Life” created by Arts Access artists T.J. Christian and Isabell Villacis. Christian is an adult medical day patient at Matheny. Villacis participates in Arts Access twice a month as part of the Self Directed Services program of the Lakeview School in Edison, NJ. Arts Access enables people with disabilities to create fine art, assisted by professional artist-facilitators. This entry was posted in Uncategorized and tagged Amy's Treat, Arts Access. Bookmark the permalink.